Any time of the year, you can find classes and workshops available in Ontario to help you learn the Scottish Gaelic language. These are always exciting opportunities to meet other Gaelic learners and fluent and native speakers who share your enthusiasm for this beautiful language. 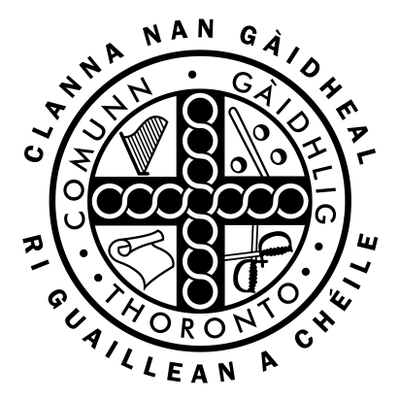 Please let us know if you are aware of other Gaelic language classes and workshops available in Ontario. We are happy to share some here. Cànan agus Òran is a popular day-long workshop of Gaelic language and song for learners at all levels of Scottish Gaelic. This is a great way for Beginners to gain an introduction to the Gaelic language and for more experienced users at various levels to advance their knowledge - also great for people to gather and make connections. Workshops are held twice each year, usually in the fall and spring. They are organized by Lorrie MacKinnon, and hosted by The Gaelic Society of Toronto and the University of Toronto Celtic Studies Program. Details for the next scheduled workshop will be posted on our "News & Events" page. Offers accredited Scottish Gaelic language classes. Check course listings to determine when courses are being offered. Once a year, the Ontario School of Piping & Drumming holds a week-long Conversational Gaelic Immersion Program. For information and to register, please visit the OSPD site here. Discover some aspects of Scottish Gaelic language and culture encompassing an hour of tuition along with a variety of stories from The Hebrides. Lessons in Scottish Gaelic are supported and enriched by native speaker Oighrig Keogh from Benbecula. Class consists of beginners to advanced level. The group also shares in social activities. If you want to know what’s going on with Scottish Gaelic north of the GTA, give Oighrig (Pronunciation: Iric) a call at 905-726-1396 or email her. The group runs Tuesday evenings at 6:30 p.m. This is not a class, it's a group of learners helping other learners, using available reputable resources. Cost is $30 for the September to mid-June year to cover facility fees and insurance. This is an informal learning and conversational group for anyone interested in learning and speaking Scottish Gaelic. For more information, email Trish at guelphgaelic@gmail.com. Toronto Scottish Gaelic Conversation for Learners group is open to anyone interested in a chance to speak and listen to Scottish Gaelic in Toronto. They welcome members at all levels of proficiency, and beginners are encouraged to join. The schedule for 2019 is TBD. Please contact via the website above for more information if you are interested in attending or check back here for 2019 information.